Get the flavors of Oktoberfest any time of year! Our Vienna® Beef Hard Salami is a blend of lean meat, beef brisket trimmings, zesty spices, and our famous hardwood hickory smoking. Once manufactured, we take this signature salami and hold it in the drying room for 30 days. 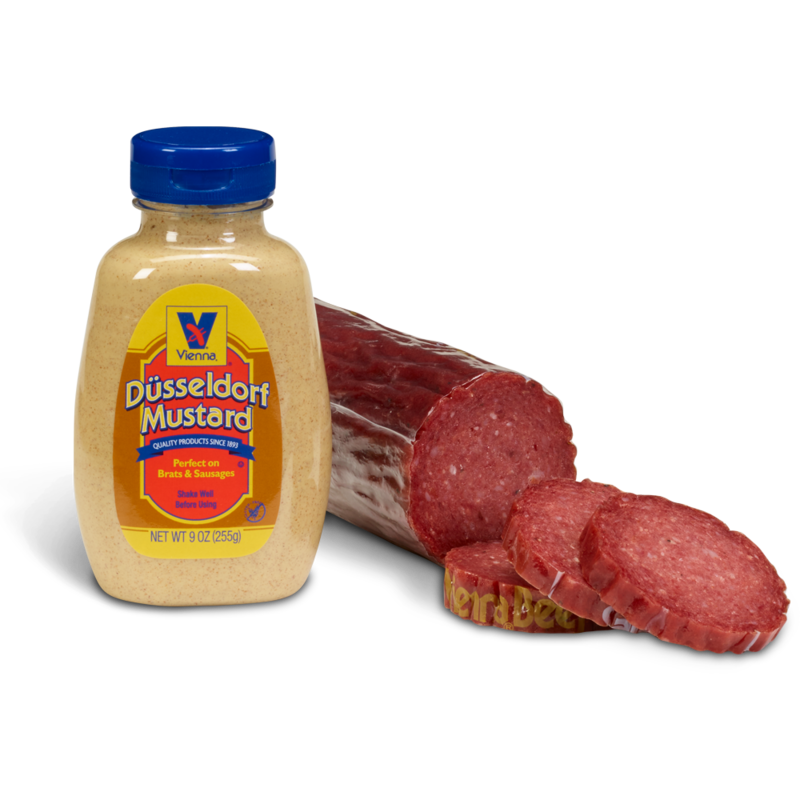 The Vienna® Hard Salami has a smoky, garlic flavor, and is a perfect pairing with our Dusseldorf Mustard. 1 – Hard Salami – This is a catchweight product. Each piece is about 1.2 lbs. The Hard Salami does not require refrigeration.